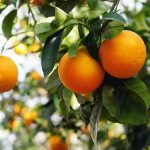 If you find yourself with a plethora of citrus rinds, say from making marmalade or from the case of grapefruit you got from Aunt Flo down in Texas, you may be wondering if there are any beneficial or ingenious ways to use citrus rinds. The amazing aromatic power of citrus aside, did you know you can grow seedlings in citrus peels? Growing seeds in citrus peels is about as eco-friendly as you can get. You start with a natural product, grow a beneficial plant in it and then repurpose it in the earth to act as a nutritious composting agent. It’s a win/win. You can even use lemons or limes, although that is getting a bit tiny. Also, if lemon or lime fruit is what you’ve got, be sure to cut the nubby end off the fruit so seedlings growing in these citrus peels don’t tip over. Tangerines are the easiest to remove fruit from, but with a little effort, you can carve out the pulp from any of the citrus varieties. Once the citrus has been hollowed out and all you have left is the thick rind, growing seeds in citrus peels couldn’t be easier. Simply fill the rind with potting soil either purchased or homemade, add two seeds and water in. When your seeds attain some height, thin to one plant per peel and allow to grow some more until it’s time to transplant. At that point, simply transplant the whole kit and caboodle into a larger pot or the garden plot, rind and all. The peels will compost into the soil, continuing to nourish the growing plants. There are many other ways to use the citrus fruit rinds pertaining to the garden. Add the peels directly to the compost pile or add them to the garbage to mitigate the stench. Orange oil has a natural anti-bacterial property that some folks say slows down decomposition, but we throw them into the compost and have never noticed any such affect. The scent may be attractive to us, but is an effective deterrent to cats who want to use your garden as a litter box. Simply rub citrus peel over the leaves of your plants each month or place peels around the garden to deter Fluffy from using it as his personal toilet. You can also use the peel from two to three oranges to battle pests. Add the peel to a blender with 1 cup of warm water and puree into a slurry that can be poured on anthills. Of course, you can rub the peel on yourself to deter no-see-ums from feasting on you as well. There are a myriad of other ways to use citrus peels, but since spring is imminent, now would be a great time to try using citrus rinds as starter pots. Plus, they will make the kitchen or wherever you are starting the seedlings smell sub-lime. Get it? !